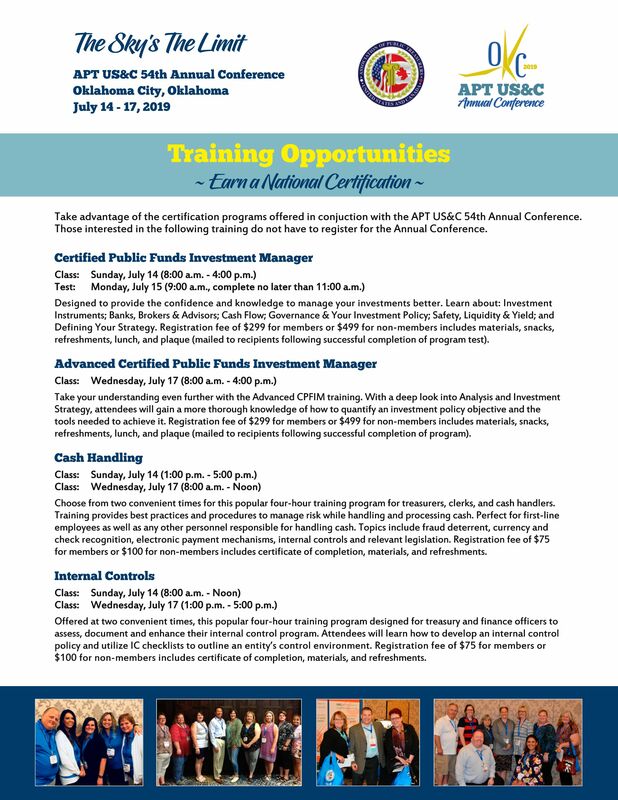 The nationally recognized Advanced Certified Public Funds Investment Manager (ACPFIM) certification program is designed to expand on the knowledge gained with the CPFIM. With a deep look into Analysis and Investment Strategy, attendees will gain a more thorough knowledge of how to quantify an investment policy objective and the tools needed to achieve it. You can register for the ACPFIM as part of your conference registration, or you can attend only the ACPFIM (or other add-on training) by registering here.